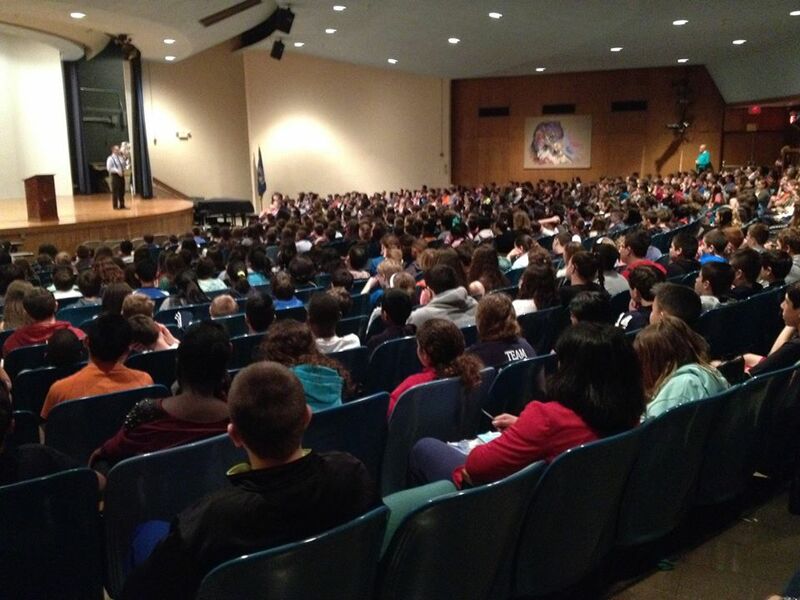 Speaker discusses his substance abuse history with F-M students | There and Back Inc.
March 9, 2017: A former high school and college athlete recently shared with Fayetteville-Manlius High School students how his use of drugs and alcohol negatively impacted the choices he made as a student and later in life as an adult. On March 3, former professional athlete Ken Bartolo candidly discussed with students in grades 9-12 how his addictions cost him college scholarships, spanned across 27 years and ultimately landed him in state prison. “I was arrested 15 times, charged with four drunk driving offenses and was pronounced dead twice from drug-induced heart failure,” Mr. Bartolo said.